Your home retreat awaits. 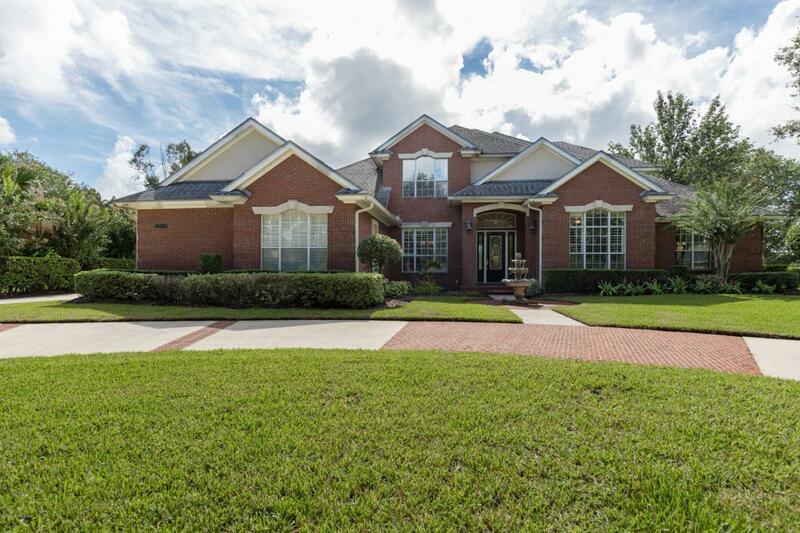 Located on the 14th fairway, this beautiful all-brick home w/stucco accents has 5 Br's & 4 Ba's for your family to enjoy. This home has generous spaces inside and out that welcome you home to relax and refresh. You have an open gourmet kitchen w/prep island, wood cabinetry, granite countertops, gas cooktop, tile backsplash, and a large breakfast bar w/decorative arches. There's more! The comforts also include a pool w/spa, a generously sized family room w/wood crafted built-ins & a gas fireplace w/mantel, formal living and dining rooms, and a second family area/loft upstairs. Additionally, there is a full home generator, circular driveway w/3 car garage, sec. system, an abundant yard, & more.